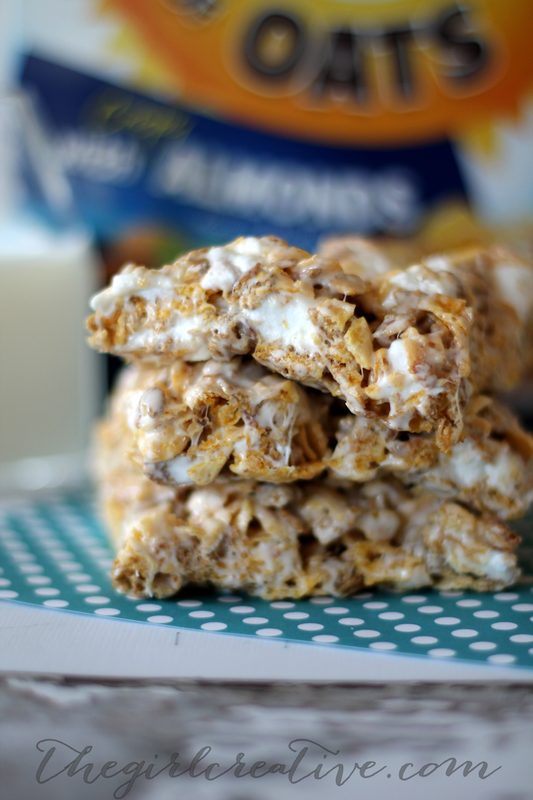 If you want to take cereal to a whole new level then you must try these Honey Bunches of Oats Marshmallow Treats. Your kids will love you for it! 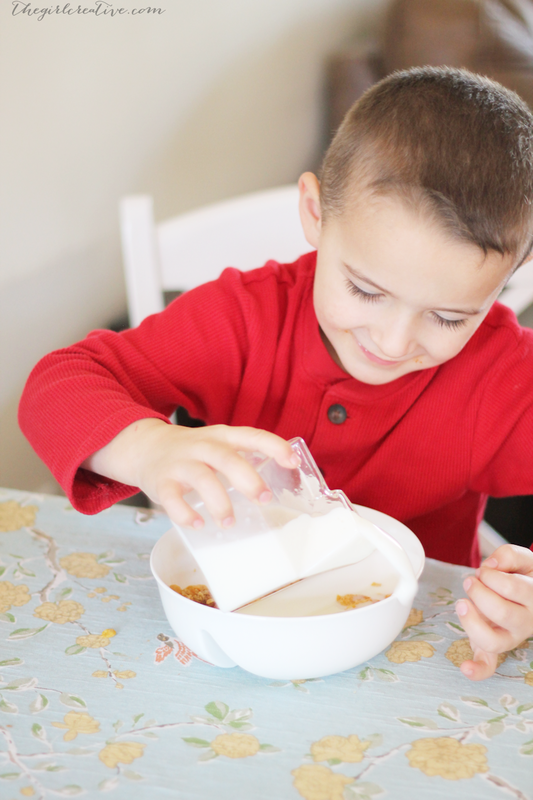 Did you know that there is a whole day dedicated to cereal? And did you know that today is that day? Yes. Today is National Cereal Day! 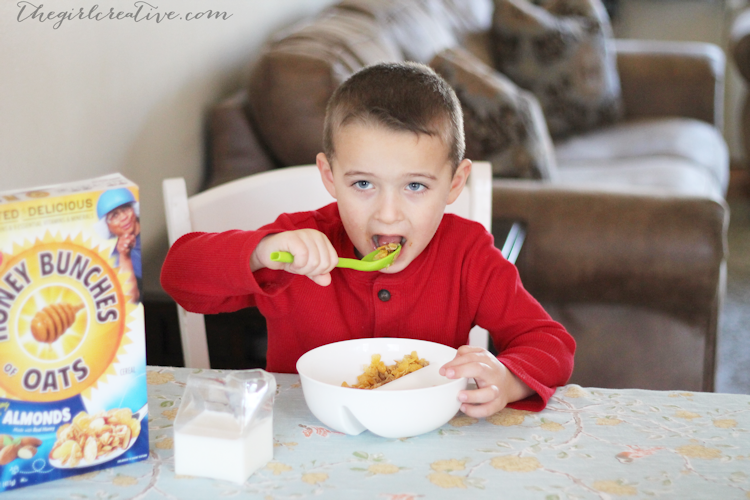 Are you guys big cereal eaters in your house? I was a huge cereal kid growing up. As a child my go-to was Cookie Crisp. I still love it to this day but I’ve also expanded my list of favorites. Right at the top is Honey Bunches of Oats. I love nuts and I love granola and the fact that I can eat them both while eating a bowl of cereal is a total bonus for me! My kids are creatures of habit. They each have their own favorite cereal. They are also all very strong-willed so getting them to try something new is no easy task. 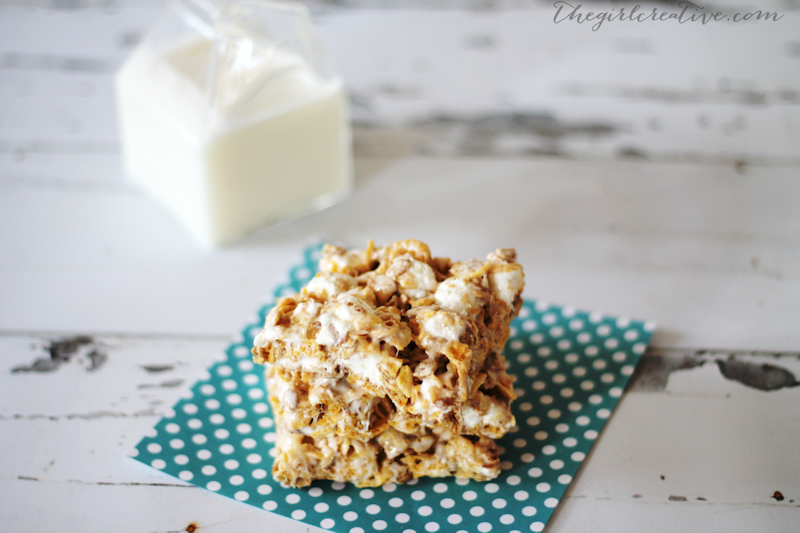 I have to be creative with them so making Honey Bunches of Oats Marshmallow Treats was exactly what I needed to do to have them try something new. And boy oh boy were they a huge hit! I may or may not have eaten half the tray all by myself they were that good! 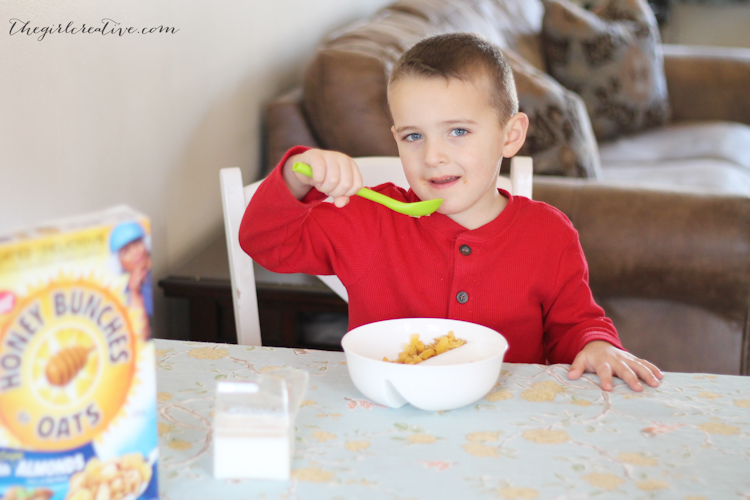 My little guy was the only one who agreed to try the cereal as is and I think it’s safe to say he’s now a fan. 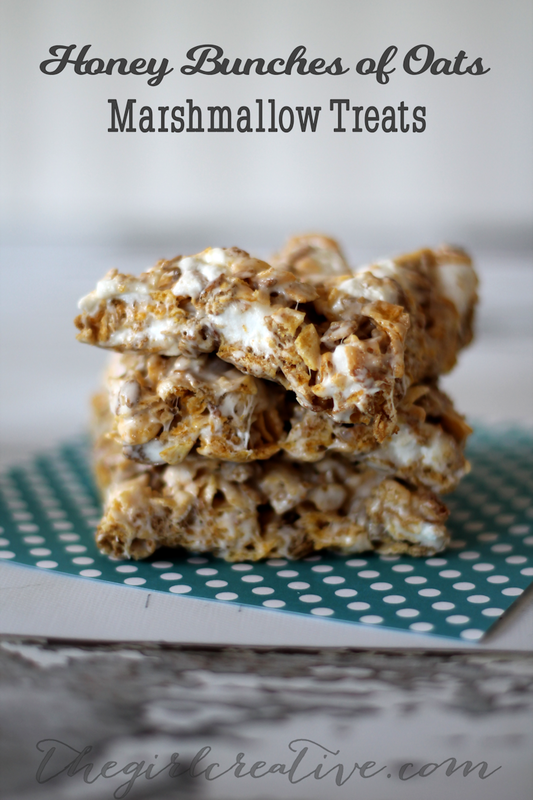 To help celebrate National Cereal Day I’m sharing a delicious, ooey-gooey Honey Bunches of Oats Marshmallow Treats recipe with you. It’s to-die for! Once melted, add 8 cups of mini marshmallows and stir until completely melted and combined. 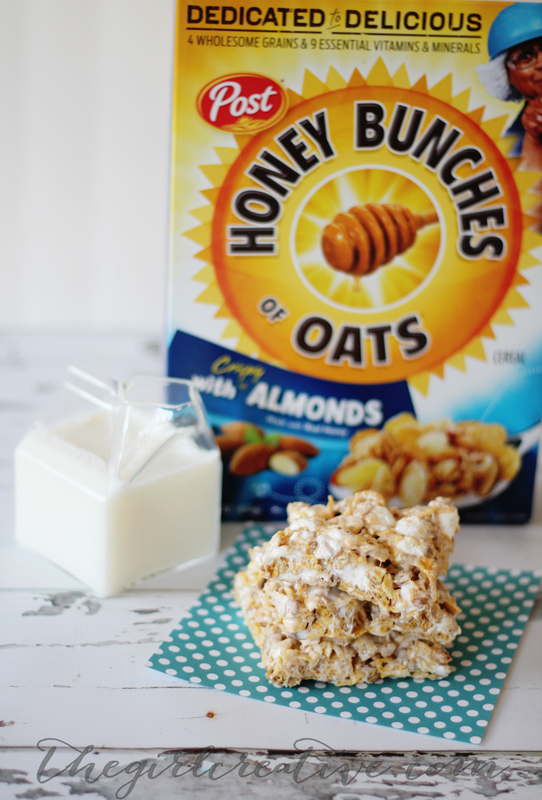 Remove pot from heat and stir in 6 cups of Honey Bunches of Oats. 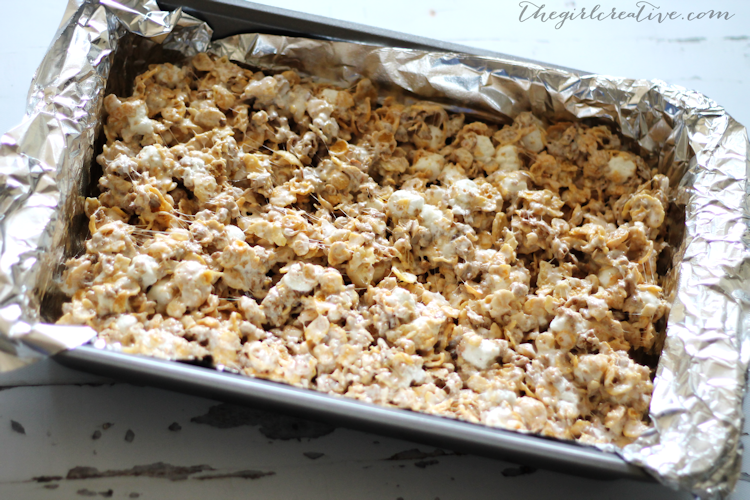 Stir until all of the cereal is coated in marshmallows. Stir in additional 2 cups of marshmallows and 1/2 tsp of salt. Spread mixture in a greased cake pan. (I put foil in the pan first and then grease it with cooking spray to make for easy clean-up.) Tip: To help prevent mixture from sticking to your spoon while you spread it, spray the spoon with cooking spray. This helps a lot! What is your favorite cereal? Have you ever used it in a recipe? Share your links in the comments. I’d love to be inspired by your creations.